Please note that the following review was composed after playing the game entirely in VR mode on a standard PS4. As a major selling point for Resident Evil 7 and owing to the fact that this is new technology it only seemed fair that we should review this version. 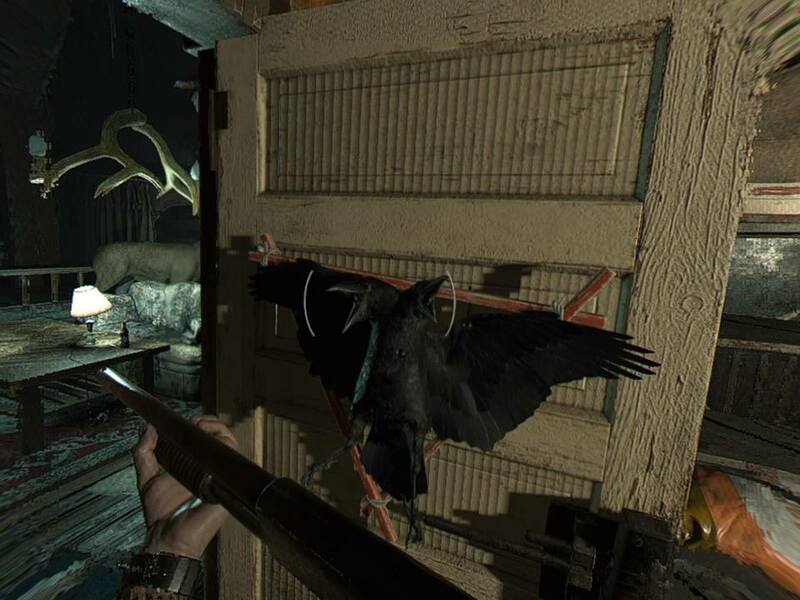 In essence, the game does not differ greatly, however points given for immersion and graphical quality will differ slightly, alongside some minor differences such as aiming and sound design. The only affect these would have on the score would be a single point lower, However Resident Evil 7: Biohazard stands as a testament to how well a game can be designed and executed in both view points. Resident Evil as a series has been subject to a continuous reinvention cycle. Upon seeing the opening moments of the seventh instalment it is easy to see how things have changed over the past few years. The change feels drastic and in some ways incredibly unfamiliar. However hidden underneath the stark new aesthetic, modernised controls and the at first worrying cut down bestiary it is all to apparent that the infected blood of the classic series is still there. 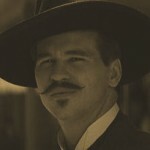 It seems that every three major instalments there is a change of style and it was incredibly apparent that the series needed that shot in the arm. Resident Evil 6 for many was a mess of differing perspectives. A game that decided that cooperative play was the way forward and horror was to be abolished in favour of suplexing zombies and John Woo inspired gun battles. 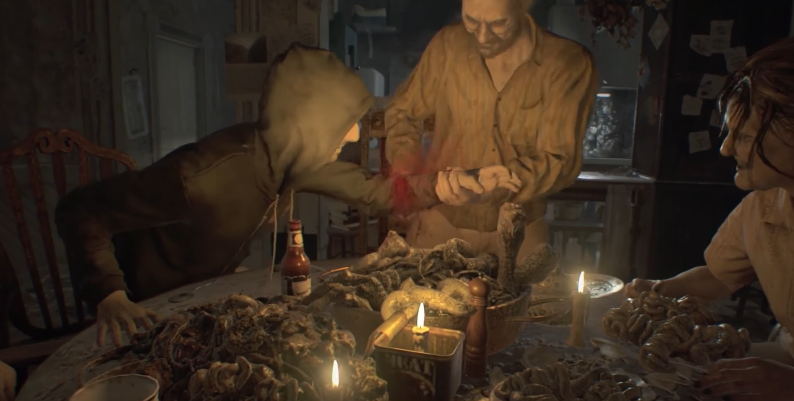 Resident Evil 7: Biohazard shrugs it off and is so indistinguishable to the previous game that it is often felt that it could have been a different franchise entirely. Sure, the marketing says that Resident Evil was going back to its roots, To bring the claustrophobia back in line with the scares. The adverts depicted a Texas Chainsaw Massacre meets PT vibe with a redneck family chasing you around a scary mansion instead of a ghost. 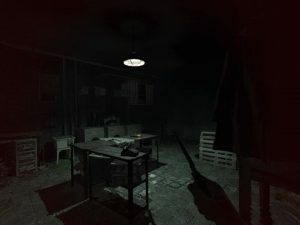 For my liking it never really looked like the Resident Evil I knew and loved and I carried this thought until I picked up the courage, donned PSVR and stepped once again into the world of survival horror. At first taking in the sights was a bit of an adjustment. PSVR shows its limitations somewhat early by shrugging away the high fidelity in favour of a more frame rate friendly visual style. The evening sky of Louisiana is bright and harsh on the eyes while walking outside of the Baker Mansion however after a moment in the sun you soon venture inside into the darker and more grimy look which is surprisingly more easy on the eyes. 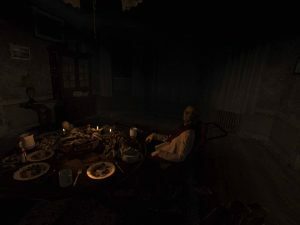 As with most Resident Evil titles it doesn’t take long for the stuff to hit the fan and when it does it is the true test of your stomach when playing from the eyes of Ethan Winters in VR. Capcom have done a pretty good job in allowing those with motion sickness to enjoy Resident Evil in VR. Before you play you are offered a tutorial in which you are able to adjust the settings to your comfort level. While I am one of the lucky few that do not feel the effects of sickness when moving I did appreciate the options available. The usual 45 degree turning was there, alongside the grounding cage that gives your eyes something to fix on etc. But the most important thing for me was that Capcom allowed you to turn all of these things off which is not something that is available in some VR horror games that I have played. Here’s looking at you Here They Lie. Now horror games in VR can be considered easy and I have said as such before. Most of the ones we have seen so far rely on the cheaper jump scares and ghost train levels of trickery to get that awkward jump out of your system. While Resident Evil 7: Biohazard uses those as well it generally feels more organic than scripted. One such example is when you meet one of the new beasties in the mansion. The oily slick wobbling mess with teeth known as The Molded. Instead of the usual Resident Evil fanfare of a scripted cut scene or pause and look effect, it merely emerges in front of you in a fashion that is as easy to miss as it is to see in front of you. We have bemoaned games for having this type of scare before but this is where VR works differently. If you are looking dead ahead then you immediately see it flop into view as a big blobby threat in front of you, or you could simply hear it slide down, turn around and suddenly be faced with an angry, sloppy death. Either way it is brown trouser time. Having the game in first person also gives you that aspect of being able to only see in front of you at any given time. Whereas with previous Resi titles you always had the view of the space behind you. This restriction, while restrictive (of course) adds to the horror immensely and I found myself on several occasions with my heart playing Drum Master while trying to open a door with a beast inches away from my tasty flesh. While the fanfare is not as present for your typical enemy types this is untrue of the main antagonists that is the Baker family. After watching the marketing material and trying the demo I was initially worried about the seeming references the horror trope of the evil hillbilly family on the bayou, but again this was turned upside down after getting to know them. By getting to know them I mean running and hiding every time they paced down the corridor, taunting me into showing myself. Bursting through walls and doors while soaking entire clips of ammunition in my feeble attempts to keep them at bay and generally just been incredibly surprising in just how resilient and determined they are at wanting me dead. While on the surface my initial fears were true about their general character and redneck unpleasantness but they surprised me in just how diverse they ended up being. Of course, the patriarch of the family, Jack is the most typical one you meet, acting as the juggernaut enemy type that Resi fans have come to know, but Marguerite and Lucas really show their differences in terms of horror and smarts that really flip that perception around. I want to keep this review as spoiler free as possible but in terms of puzzles it would be best to demonstrate of how things differ from previous titles. The use of video tapes littered around the house to not only tell a further story but also give you a glimpse with what is to come. With these you take on the viewpoint of another unlucky soul that has entered the mansion and encountered the Bakers before. These are all playable and give you a deeper understanding of your surroundings. In one such tape you have to escape a room with a combination of solutions which end up in the previous character in immense pain. Through the combination of actions that they partake in you can see a password that you can later use to skip all of the agony when playing through as the main character. The trick of what makes these so compelling is that the video tapes can be easily missed as they take up inventory space. It punishes you for mainlining the game without exploration and gives the illusion of choice in a way. Of course if you ignore the tape before hand then your main character would go through the agony in the puzzle before you restart with the solution in mind. The knowledge that you can glean from the mansion and other areas is as important as the bullets in your gun and no other Resident Evil or survival horror that I have played has pulled this off in such a smart and capable manner. Speedrunners will also be happy in the knowledge that once the main game is complete that most of the puzzles will remain the same the second time through, allowing you to master the game and get better times. While this does not sound particularly open to multiple play throughs there are plenty of collectables to find and unlocks to achieve in the process. Not to mention the sheer amount of intrigue to gain from the dialogue and notes left around the mansion. Without diving into spoiler territory it is hard to tell you of the horrors that await you when playing RE7. To do so would be a massive disservice to the game and its fans. It is truly one of those titles that i would suggest you do not spoil for yourself by watching lets plays or speedruns. This is absolutely a game where you should experience it first. 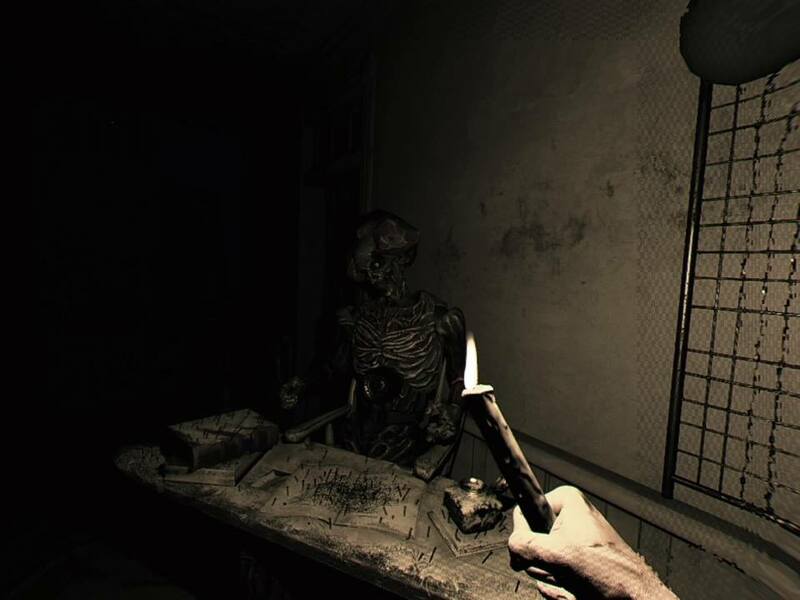 It’s worth it and one of the best horror games made since Resident Evil 4 hit our consoles. Welcome to the family. Resident Evil 7: Biohazard is not only a return to form for the storied franchise but a whole new beast in itself. It not only ups the ante in regards to scares but also plays the smart card as well. The game not only shows that Capcom still have what it takes, it also exceeds the expectations that were set by the impressive marketing campaign. If you are a survival horror fan, VR fan or both, then Resident Evil 7: Biohazard is essential. Thought this game was brilliant in vr, it had my heart racing whilst running away from maniacs and monsters which were 10ft tall, wot a game! Brilliant! Yeah agree with you, amazing game with amazing atmosphere , easily the best vr game so far I can only hope for more resi games in vr and also please please let someone make a new silent hill in vr!! !